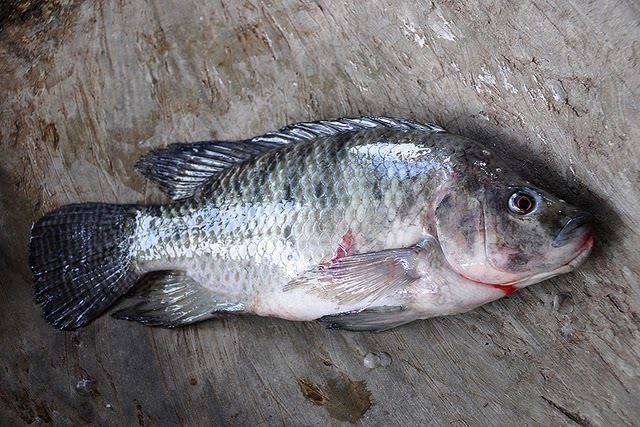 The Relentless Builder: Who's Afraid of Tilapia Fish? 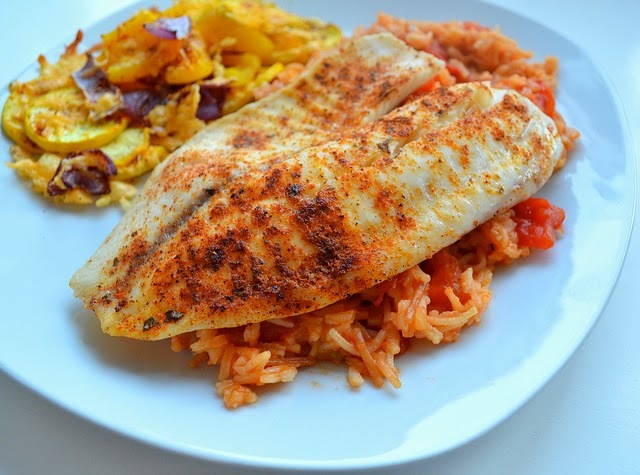 Who's Afraid of Tilapia Fish? If you live in Nigeria, the chances that you have touched, eaten or at least seen raw fish (of any species) is very high. But for whatever reason, the same is not always true here in the US. Some people don't even know what a real chicken looks like, so maybe asking about fish is really pushing it. I guess it's possible that people are so used to seeing filleted fish or already cooked fish (fried catfish anyone?) that they don't make the connection between raw and cooked food. But that's just speculation. Southwestern Tilapia; Doesn't look like the first picture, does it? We're talking about fish today because of my own experience. You see, many years ago ... Okay, maybe not that long ago, when I was a student I had a shocking experience that repeated itself later. I went to Wal-Mart and bought fish. They usually come packaged in ones or twos like the picture below. After buying the fish, shebi na to pay for de fish remain, ba? So, I went to the checkout aisle to pay. Gen, gen! She saw the fish. The phrase "cut-and-run" must have come to her mind, but the brave woman stood her ground. While asking me how I planned to cook the fish, she lightly picked up the package from one corner, managed to scan it and went for several rounds of therapy afterwards. Me? I explained to her how I planned to cut the fish into pieces and make it into stew. Ha! For my mind sef, I don dey plan how my teeth go take navigate those dangerous tilapia bones (you know tilapia has lots of tiny bones, ba?) But the fish is sweet sha, so it's worth all the trouble. Anyway, I probably would not have bothered with that incident except that it happened again in another city and in fact on several occasions. All of them in Wal-Mart. It even happened to people I knew too. So, to answer my own question: Who's afraid of Tilapia fish? My answer is: Wal-Mart employees. These are funny experiences you've had with buying fish! I've never seen whole fish sold in Wal Mart though that must be a Southern Wal Mart thing. Highly Favored: Lol! Abi o. It might be a Southern thing sef. About the whole fish, I am surprised to hear that. But then again, most of the WalMarts I have visited are in the South. 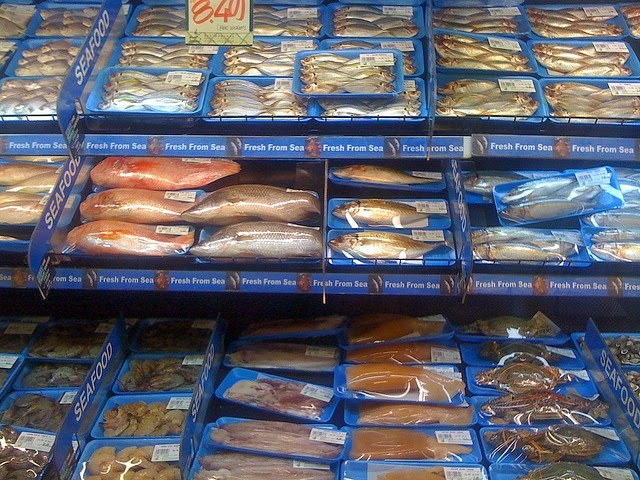 My family and I usually buy fish at CompareFoods or FoodWorld and those ones are skilled in handling fish and chicken. Them dey fear me sometimes sef. But what I don't understand is Americans avoidance of any fish that isn't catfish or fish smells (cooked o). Dayo: Honestly, I haven't heard of those stores you mentioned but the "dem dey fear me" part is real. I have been to stores where they "handle" raw fish and in fact, fear go catch you. I doubt that some Americans have seen an un-filleted catfish before. Let's not even go near the smell.